Empower Manufacturing offers two energy efficient technologies for the construction industry. The advanced heat pump water heater AquaSense and ThermalAir the original energy recovery (ERV) air exchanger with an efficiency rating superior to 100%. 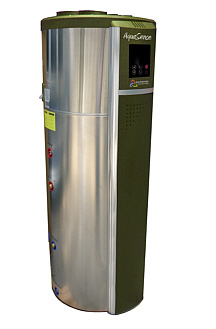 Get information on the most energy efficient hot water systems! Find out why ThermalAir is the most energy efficient way on the market to bring fresh air inside a structure!